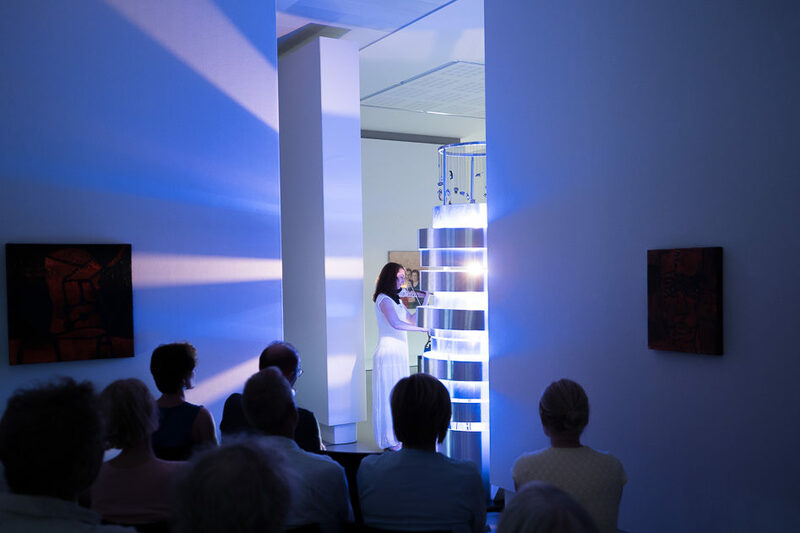 MUTED was premiered by Monica Germino in Museum Belvedere at the Oranjewoud Festival. The 3 founders of Bang on a Can, Michael Gordon, David Lang, and Julia Wolfe, joined forces with Louis Andriessen to write a collective composition. Floriaan Ganzevoort designed a light object for this project. 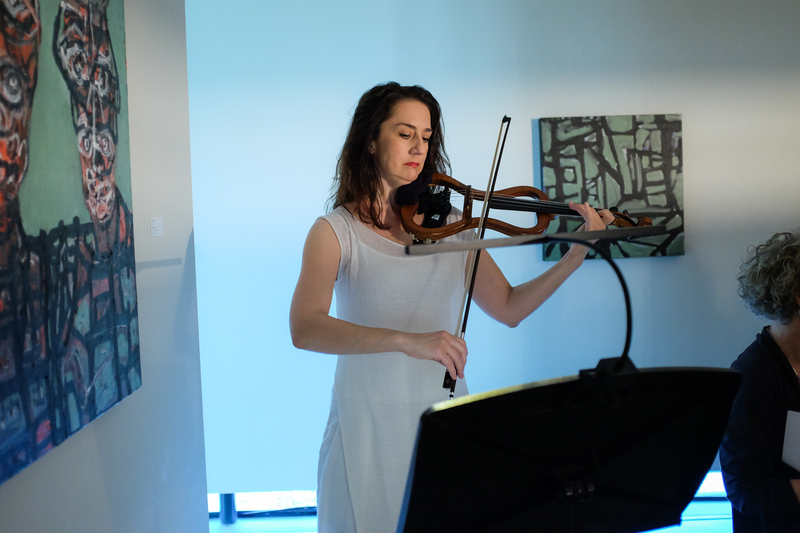 All of the compositions take the muted violin as a point of departure, playing with and around the lower end of the dynamic range of the violin. 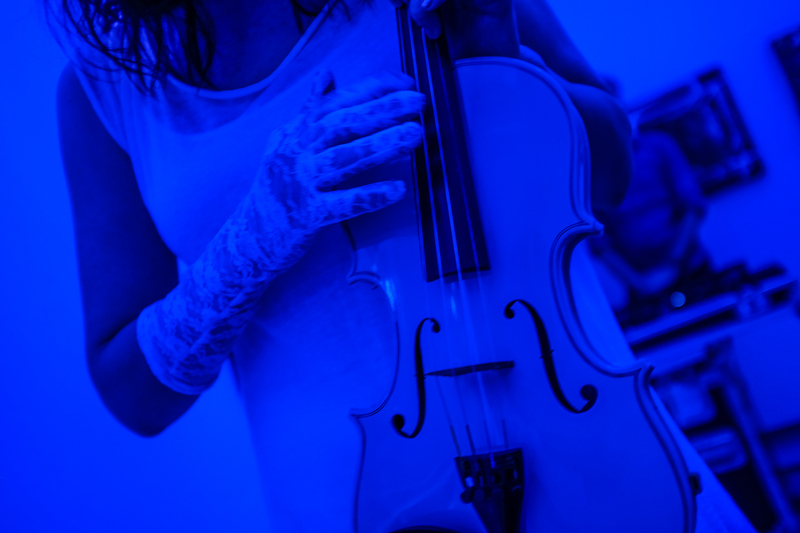 After Monica was diagnosed with ‘sound sensitivity’, a condition where high decibel levels can directly damage her hearing, she began to explore different ways of playing quite softly, in order to protect her ears. 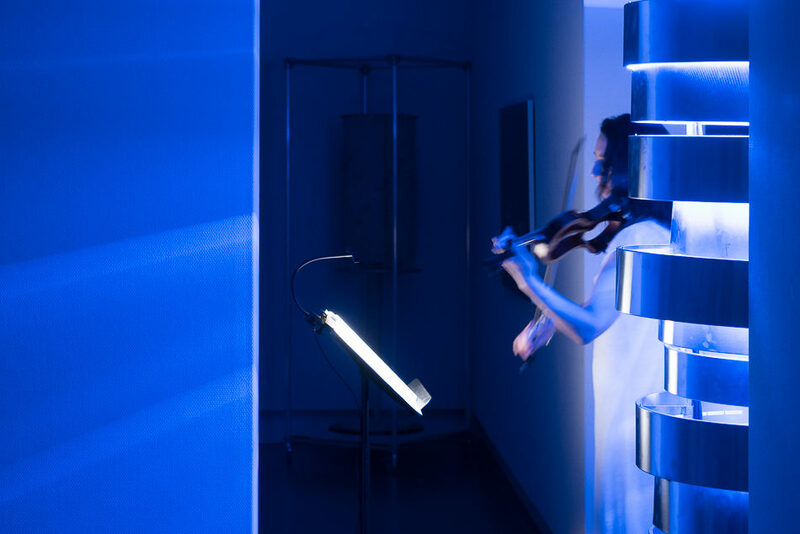 The light object is controlled live in performance, and is based on sound waves. Just as waves disperse in a circular motion when a stone is thrown in the water, sound behaves in a similar manner. It radiates from the source in a circular motion. The further away you are, the softer the sound. 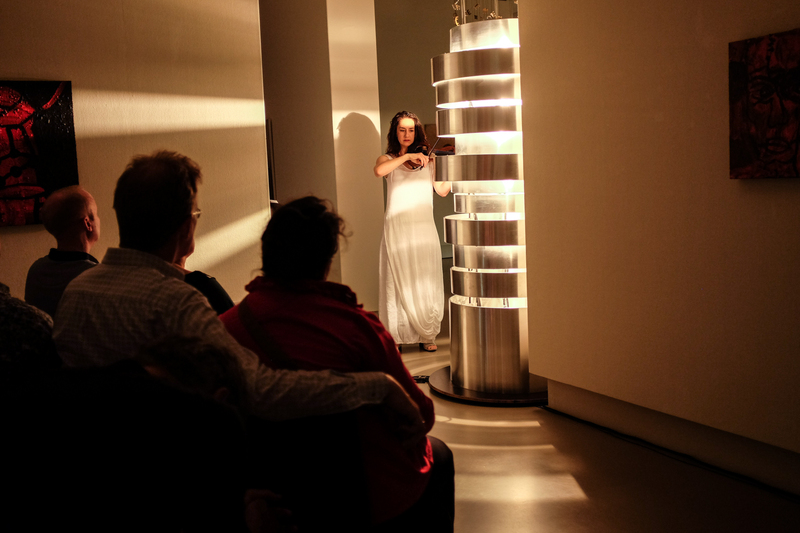 Placing light in a tall structure built from aluminium concentric rings creates a dynamic play of light. 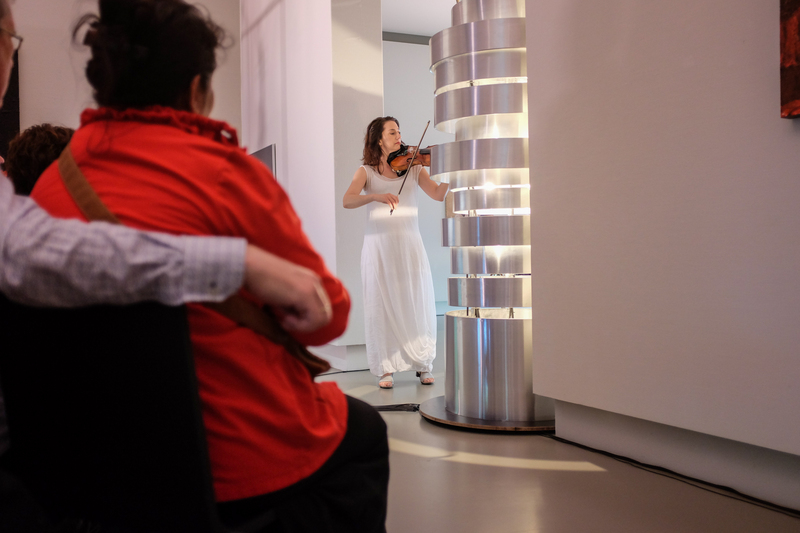 The light from the structure not only illuminates the face of the violinist but also alters the space itself, as lines and circles of light strike the walls, floor, and ceiling of the space in always-changing patterns. The light object is placed in a central location in the space, with spectators around it. This creates a central place, like a fireplace. On top of the structure is a mobile, constructed from mutes (special objects that alter and quieten the strings of a violin). MUTED features violin, voice, whisperviolin, frame violins, a multitude of mutes, and light design.